Whippet Bicycle is a completely new British folding bicycle that has been designed, developed and made for people who love cycling. By harnessing the advantages of an oval tube's strength and flex characteristics, Whippet Bicycle's unique design takes a different approach to 'folding' and has been developed with both fine riding and slimline storage equally in mind. Ideal for urban living, its frame retracts to around 30% of its original volume - into a super slim package that's ideal for storing against, or up on the wall. 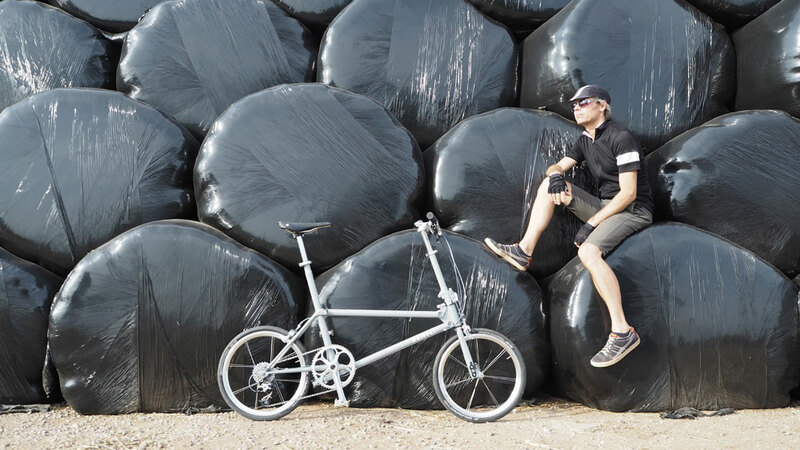 "The sleekest folding bike we've ever seen"
Conceived for those who like to think and do things a little differently. Including information on specifications and future availability. Receive all the latest news and updates from the Whippet Bicycle team.